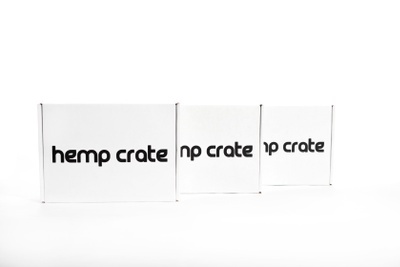 Enter your email address below to receive a notification when Hemp Crate Co starts accepting new sign-ups! 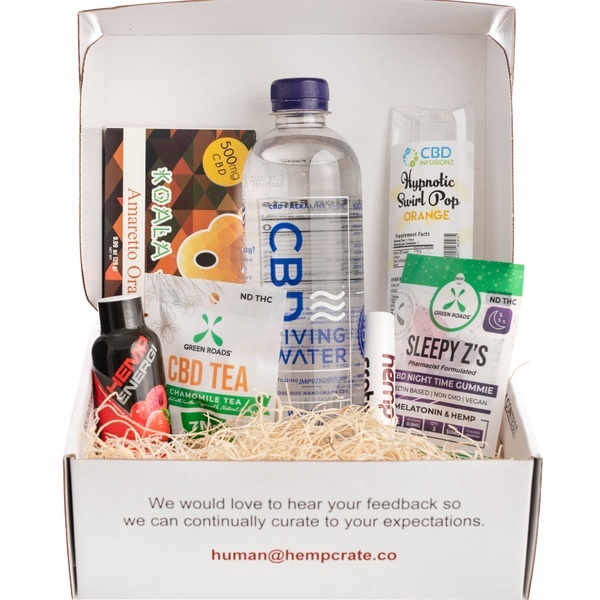 Enter your email address below to receive a notification when Hemp Crate Co is accepting new sign-ups again. Use code MOMSDAY at checkout for a discount and a free gift! Your first box will ship within 48 business hours. Future boxes renew mid month and ship by the 4th of the following month. Skip, change box type, or cancel anytime! Once shipped, your order will arrive within 1-3 days. 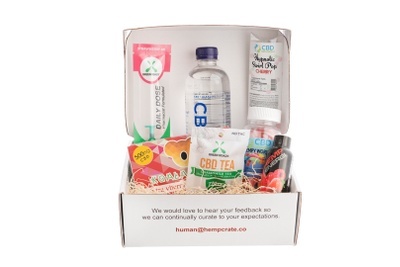 Hemp Crate Co curates 4 themed boxes of premium CBD products monthly. We have Health & Wellness for all your chill and recovery needs, Edibles & Beverages for all the yummies & gummies, Hempa the Explorer has a little bit of everything, and finally Furry Friends which has a few items for your fur baby and a few for you. 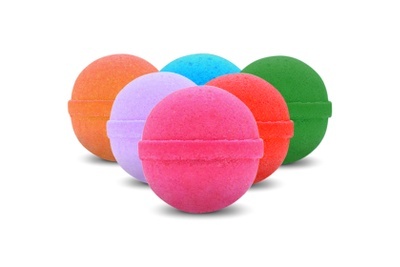 New products every month! 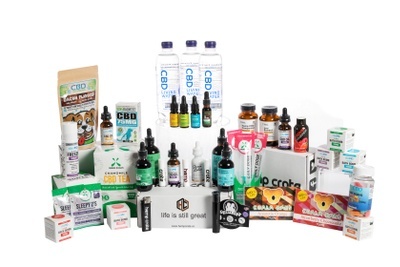 Constant curation of the best and newest CBD products in the U.S.
All 3 and 6 month plans have free shipping every month! New products in every box, every month. Have tried hemp products before, but wanted to dive in in earnest. 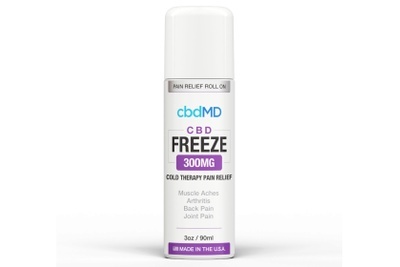 With the capsules, I was able to get the inflamation in my knee under control. 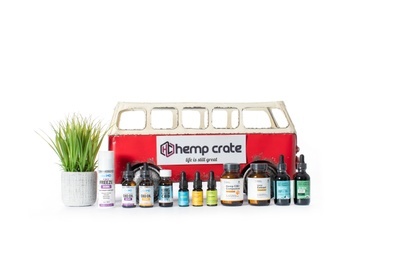 Have been able to explore other products too with Hemp Crate's guidance. Will continue to use going forward. Products showed up on time and lots of extra info. 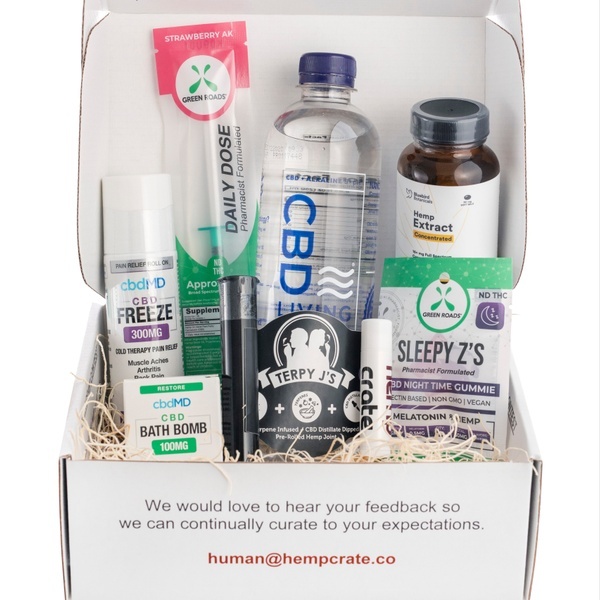 This was my first box with Hemp Crate Co. What an amazing experience. The customer service was phenomenal, they answered all my questions very quickly. I also appreciate the the variety they offer as well size options available. With all the different companies out there it can be confusing to navigate the different options. 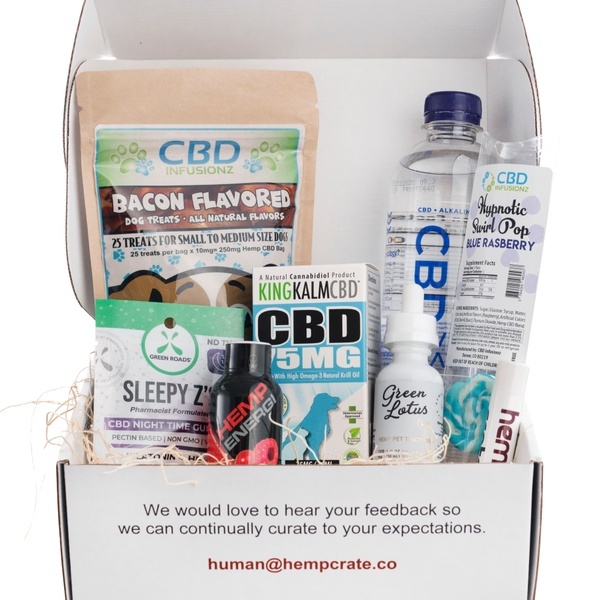 I really like that Hemp Crate Co. is doing most of the work for me. 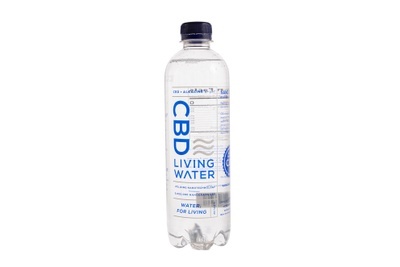 They are checking to make sure the the brand is transparent and organic and they are great about providing education and useful information for the consumer. First box was great. 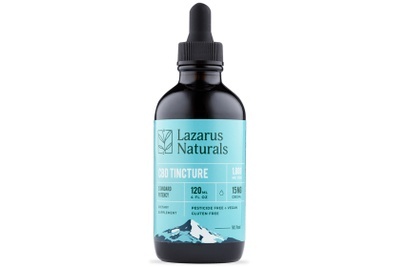 I would recommend to anyone wanting to explore CBD products. Far exceeded my expectations! 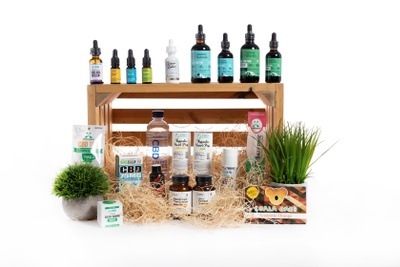 This beautiful box delivers it all - some edibles, some health products, and a couple other goodies! This box is all about the yummies and the gummies. Diverse flavors and innovative products pour out of this box on the reg! We always throw in a few things for your fur baby and a few things for you, too! This box is something you & your pet will look forward to!